Just a quick post for a quick lunch this week as time seems to be flying at the moment! This is inspired by a couple of different lunches I had recently in Ali’s Kitchen and Zamora. It can be whipped up in a no time. 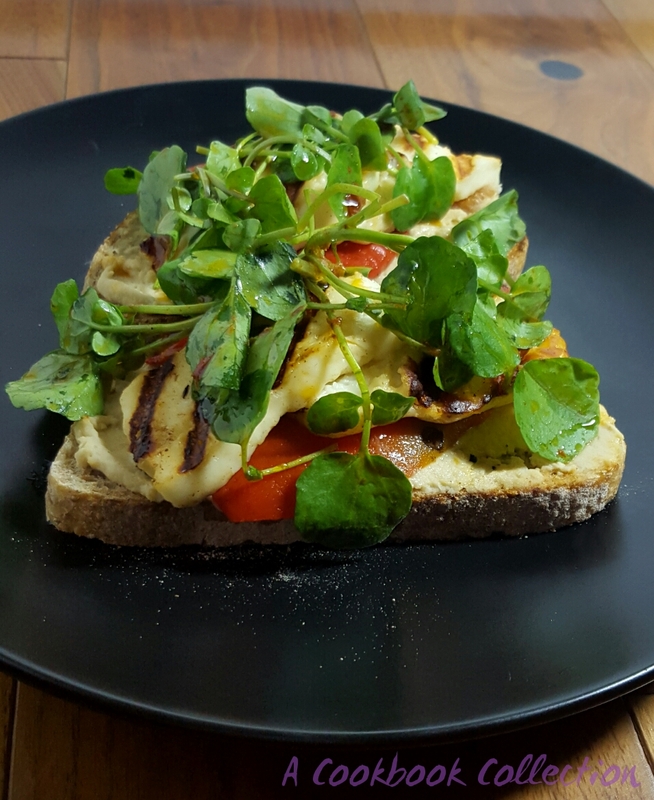 Halloumi or ‘squeaky cheese’ is one of those marmite ingredients: you either love it or hate it. I love it! I cooked it on a griddle pan to get nice bits of charring on the cheese but use a frying pan if you don’t have a griddle pan. It stands up well to cooking and doesn’t melt. I have made this on toasted sourdough but you can serve it in a wrap or flatbread, or ditch the bread altogether and make it a salad. There are so many ways to change this to suit yourself, use tomatoes instead of peppers or add bacon or chorizo if you want a bit of meat! I use homemade hummus and harissa but feel free to buy yours from a good deli. Start by making the hummus. Put the lemon juice, tahini and garlic into a food processor and blitz until smooth. Add the chickpeas and olive oil and blitz again until it is the consistency you like. Add a little water if you want it a bit thinner. Taste and add the cumin and salt and pepper as needed. When you are satisfied with the seasoning, scrape it into a bowl. Drizzle over a little extra virgin olive oil and sprinkle over the paprika. If you are not using this straight away it keep in an airtight container in the fridge for a few days. Allow it to come up to room temperature before using. Heat a dry griddle pan over a medium-high heat. Toast the bread on the griddle. Use a normal toaster if you like but charring it a bit this way gives the toast a lovely smokey flavour. Spread some hummus onto the toast and top with the red pepper. Brush a little olive oil onto the griddle pan or a frying pan and grill the halloumi until it is a nice golden brown. While the cheese is cooking mix the harissa paste with the olive oil and toss the leaves in this dressing. 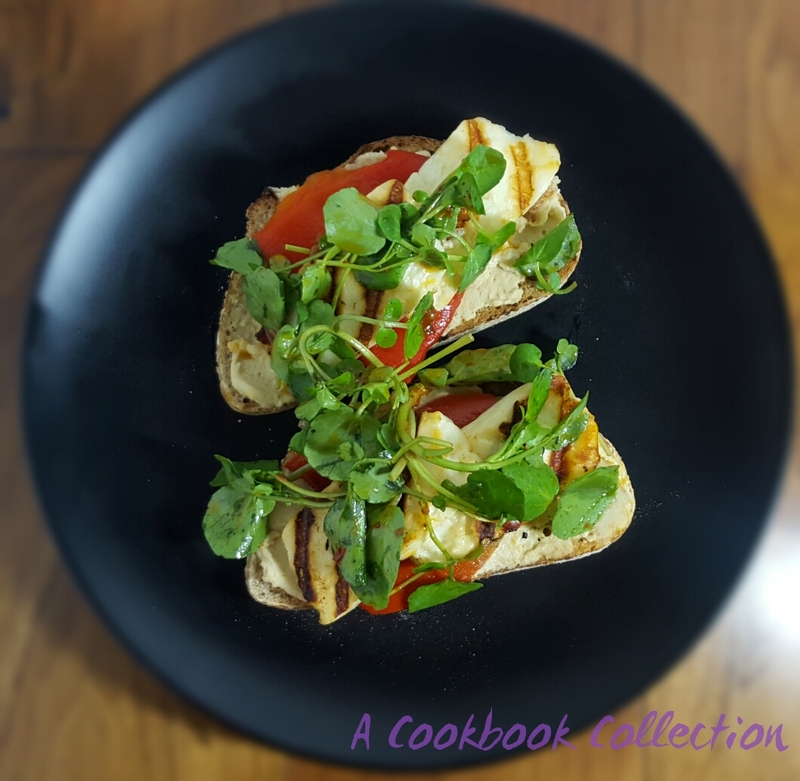 Put the halloumi on the toast and top with the dressed salad leaves. Serve immediately. 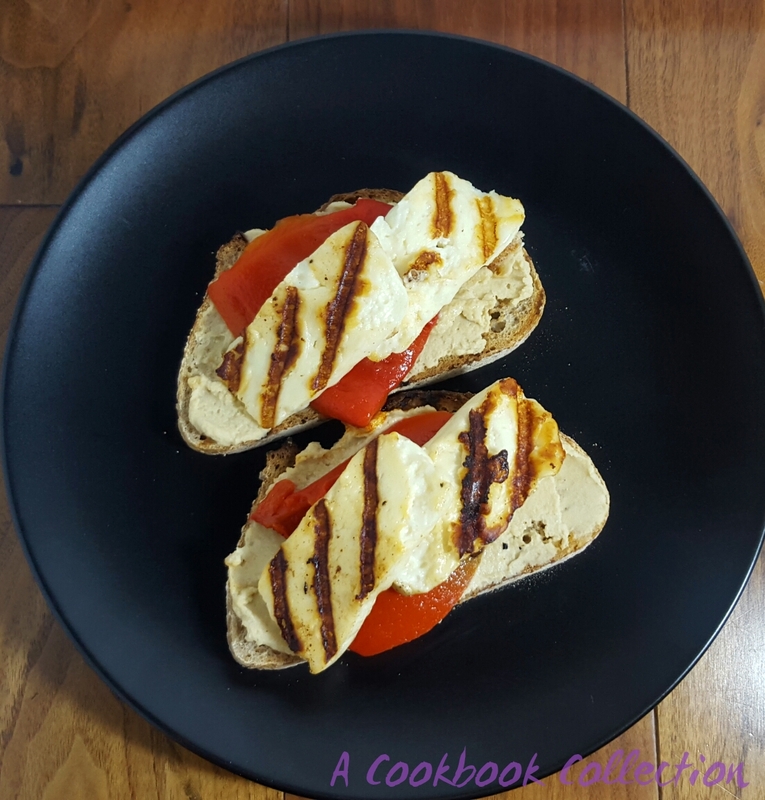 Oh Halloumi, sourdough and hummus. Heaven! Thanks Lisa it’s a good combination! This looks like a fabulous treat to me! I love “squeaky” cheese! I’ve had lunch and my mouth is watering looking at that! Your hummus looks divine, I love hummus. Haloumi, I like a little once in a while. Good Sourdough is just heavenly. We have one good producer here in Wexford, he was closed for a while, we reminisced about the lovely Sourdough from Arbutus and debated driving to Cork for some LOL! I have yet to master my own, but I will…hopefully! Thanks Nicola! You make your own sourdough?! Wow I’m impressed. I’m not good at caring for things so a starter would have no chance in my house 🙂 Arbutus bread is very good, I’m lucky to have plenty of options that way. 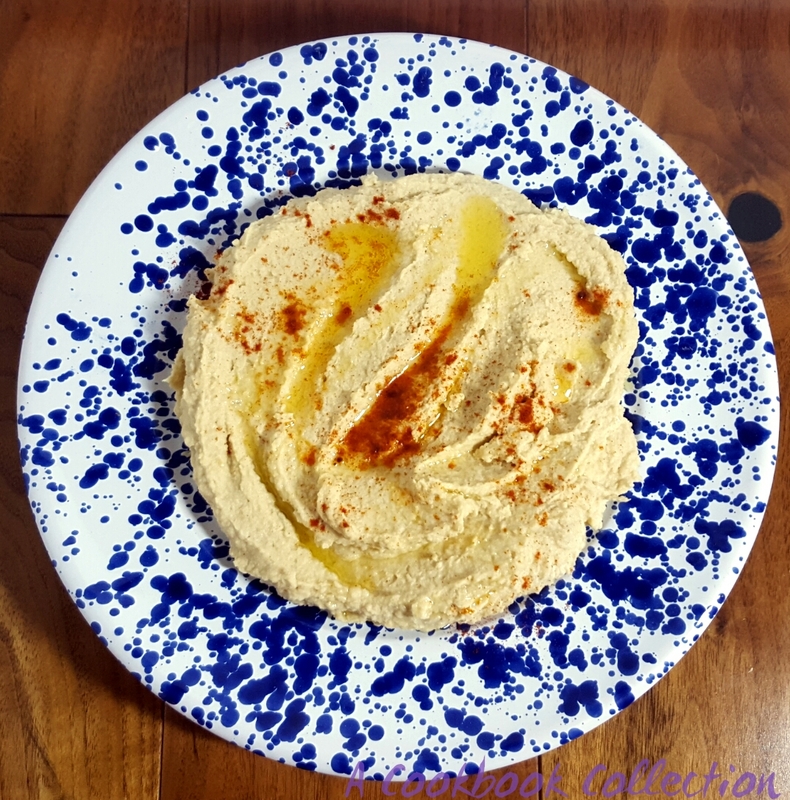 what a fab brunch dish – I adore hummus.